2015 has been a year of centennial celebration, which also brings the responsibility of hindsight reflection and steering into the future with prosperous goals to make our city and state a great place to live, work and play. VHH team recently attended a panel discussion at the Anchorage Hilton Hotel focusing on Alaska’s economic history and possibilities for the future. The panelists included Margie Brown, former President & CEO of CIRI; Larry Cash, founder, President & CEO of RIM Architects; and Dr. Rashmi Prasad, Dean of the College of Business and Public Policy at the University of Alaska Anchorage. With oil prices looming at the bottom of the barrel, part of the discussion was centered around creating comparisons, but focusing on contrasts between Anchorage in the 1980s and Anchorage now. Another part was to acknowledge tough times ahead as the state restructures its budget and revenue sources in attempt to grow other industries. So where do we start? Margie Brown made an insightful point about generating revenue via value added services. What she was saying is that there is much higher chance for success to create revenue by expanding on existing industries rather than starting from scratch. Not to say that it’s impossible to get started in a new industry, and perhaps, the Unmanned Aerial Systems (UAS), is one such example. And even then, with a healthy aviation industry, UAS development is getting a jump start in areas of workforce availability and research. Example a: A new start up company Tidal Vision from Juneau, Alaska recently raised $55,664 USD with 764 backers on Kickstarter, with their goal being $17,500. Their pitch is “Upcycling fishery waist to encourage sustainable fishing”. 2. Assessing which industries enjoy high demand, but aren’t at capacity due to low supply. Example: Agricultural sector, specifically produce. Even the federal government is getting on board. Recognizing that demand for locally grown produce is rising, they have created a Local Foods, Local Places assistance program, which will for the second year select several communities around the nation to receive this funding. This year, together, EPA, USDA, CDC, DOT, ARC, and DRA are investing $800,000 in this round of Local Foods, Local Places. A steady increase in the number of farmers markets nation wide (from 4,685 in 2008 to 8,144 in 2013,) and in Alaska (43 listed) in 2015. What about products sold directly to individuals for human consumption? 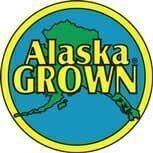 In Alaska in 2007 there were 149 farms (22% of AK farms) with $1.68 million in sales. In 2012 those numbers rose to 241 farms (32% of AK farms) with $2.23 million in sales. 15% of Alaska’s farms reported $2.2 million in direct sales to retailers. This is third in the nation behind Hawaii and Vermont. The U.S average was 2.3%. For retailers around the nation, carrying local produce represents an opportunity to not only meet consumer demand, but also simultaneously decrease produce waste and increase margins. Food waste due to shrink and spoilage is a huge cost to retailers. Not to mention the attractiveness of meeting social responsibility targets and differentiating themselves that support for local farmers brings. Even with a rising popularity of local produce, our local farmers aren’t able to meet the demand, whilst the population has to rely on produce that’s been trucked/flown/barged from places like California or Arizona. So we have high and increasing demand, low supply type situation. One of the biggest culprits is the inability to grow year round. This is precisely why indoor growing productions are becoming increasingly popular. For a food desert place like Alaska, indoor growing can make a huge impact on economic and social platforms of our state. Indoor agriculture technology exists now and that is something we can take advantage of today. Vertical Harvest Hydroponics was founded on principals of alleviating food shortage and ensuring food security for our state and for those who live in geographically challenging regions. We manufacture containerized farms (CGS- Containerized Growing Unit), that have the ability to grow a variety of leafy greens and culinary herbs, hydroponically and without soil. Using a CGS, YOU can become a local producer and grow on-site. This means harvesting greens just in time for your dinner plate or for sale. This means not sacrificing nutrient quality to the supply chain. This means food security for our state. Alaska may not be the Salinas Valley of California, but with recent weather patterns and overpopulation, Salinas Valley is changing as well. With our challenges, come many opportunities. We are one of the states that can benefit the most from a reliable internal food source – thus we must be on the forefront of the “growing local” movement. 19-pound carrot, 76-pound rutabaga, 127-pound cabbage, 39-pound turnip, 106-pound kale, 65-pound cantaloupe, 97-pound kohlrabi, and 63-pound celery. Wow, that’s a year’s worth of salad. How does kale get to be so huge? It’s a bit monstrous, no? Maybe that will be our Halloween costumes this year. I’ll go as the unstoppable 106-pound kale, Dan can be the hard as nails 127-pound cabbage and Cameron will surely pull off the 97-pound mean kohlrabi, all muscle. Come back and check out our next blog post. That’s it for now.